With the Unicorn Village Natural Marketplace and Restaurant, and later Sublime Vegan Restaurant, Miami retailer and restaurateur Terry Dalton brought sophisticated hipness, financial savvy and customers in droves to his pioneering full-service natural foods supermarket and restaurant. 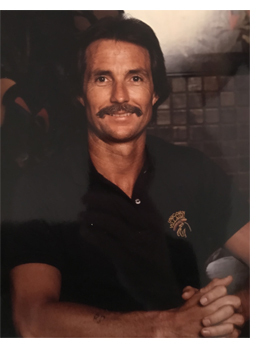 Natural products retail pioneer Terry Dalton, founder of the Unicorn Village in Miami, one of the industry’s seminal natural foods stores and restaurants in the 1980s and 1990s, passed away on Nov. 9, 2017, from head injuries suffered in a bicycling accident in northern Florida. Terry was a true rock star in the natural products industry and remained very active and enjoyed the outdoors. He passed away doing what he loved and is survived by his son, Sage Dalton, a senior dive master at Oceans First in Boulder, Colorado, and former wife and lifelong friend Kathy (Dalton) Boruff, who also resides in Boulder. Terry sold the Unicorn Village—one of the top grossing stores in the country at the time—in 1995 to Whole Foods Market. If you ever had the chance to eat at his stand-alone Unicorn Village restaurant on the waterfront in Aventura in North Miami, you would have seen top celebrities of the time enjoying Terry’s (and chef Steven Petusevsky’s) nouvelle natural, organic and vegetarian cuisine. Terry and his team brought that Miami 1980s hip and chic sophistication to natural, organic and vegetarian products, making it appealing to so many more people. After the sale to Whole Foods Market, Dalton subsequently co-founded Sublime—one of the top vegan restaurants in the country—with Nancy Alexander, founder of the Animal Rights Foundation of Florida. He remained involved in various consulting projects and causes since then but mostly enjoyed retirement over the past several years. However, the impact Terry Dalton and his fellow retail pioneers—members of the original “Natural Network”—had on the evolution of our industry is a powerful and lasting legacy. Terry Dalton stood out among a group of retail pioneers across the country who in the late 1970s and 1980s were dedicated to moving beyond stuffy, old-school health food store and crunchy, college-town natural food store formats. This intrepid group, including Terry and his Unicorn Village Natural Marketplace and Restaurant in Miami, were out to create the first full-service natural and organic food supermarkets that were the forerunners of today’s natural products retail marketplace. It was truly a unique entrepreneurial moment in the history of natural products. Other members of the original “Natural Network” included Stan Amy of Nature’s Fresh Northwest (and New Seasons Market) in Portland; Mark Retzloff and Hass Hassan of Alfalfa’s Market in Boulder; John Mackey of Whole Foods Market in Austin; Peter Roy of the Whole Foods Co. in New Orleans (who later served as president of Whole Foods Market); Sandy Gooch of Mrs. Gooch’s Natural Food Market in Los Angeles; Anthony and Susan Harnett of Bread & Circus in Boston; and Terry Dalton of the Unicorn Village in North Miami. A number of these stores sold to Whole Foods Market and elsewhere, but their impact nonetheless lasts to this day. Terry’s natural foods store and restaurant stood out as models for the industry. Throughout the 1980s and until 1995 when he sold his store to Whole Foods Market, Terry presided over one of the most sophisticated, hip and profitable natural foods scenes in the country. It was the THE place to go for natural foods, prepared foods and gourmet cuisine in the Miami area, and celebrities from Madonna to the stars of Miami Vice were regularly spotted perusing products in the market, or chatting over vegetarian fare in Dalton’s waterfront restaurant adjacent to his store. Through my work as editorial director of the Natural Foods Merchandiser with New Hope Network in the ‘80s and ‘90s, New Hope co-founder Doug Greene sent me to many stores for our monthly retail profiles and I got to meet, report on and befriend so many of these founding retail pioneers—and work with them on seminars and educational programming at Natural Products Expo. Terry’s friendship was special and we remained close and worked on other projects together over the years. He took me under his wing like he did with many individuals in our industry, and helped nurture my career in the change-making and ever-changing natural and organic products market. As such, his son, Sage, and his ex-wife, Kathy, asked if I would write this tribute to let the natural products community know of his passing and to honor Terry Dalton and his contribution to natural and organic food and agriculture, health and wellness, and environmental sustainability. I am honored to offer this tribute to Terry Dalton, my mentor and friend. If you would like to learn more about the incredible founders who started an industry, including more about Terry Dalton’s work and legacy, read Natural Prophets by Joe Dobrow, an excellent book and an important history to preserve. For those seeking to reach out to Terry’s family, please contact Sage Dalton at scubasage@me.com. The family is also still considering how best to honor his memory, and we’ll keep everyone posted. Life is precious, friends. Love and health to you all! "Terry was a real food visionary with deep passion for social justice. We met at the first Natural Products Expo in 1981 where he was a featured speaker on foodservice. We were overwhelmed in the show management office and he calmly jumped in and started acting like he worked for New Hope and started helping others. I remember thinking, 'Who is this guy? I want to know him better.' We went on to become great friends, and when several of us in the natural products industry adopted Grenada after its war in 1983, we both partnered with a local entrepreneur to launch The Delicious Landing, a seaside fresh seafood restaurant. He was always very generous with his skills and resources and a dream partner. The list of people who were touched by Terry’s life is unmeasurable. He mentored so many and opened doors for their growth. His calm attitude mixed with his progressive ideas made you believe the world could become a better place. That impact is still being felt. The industry truly stands on the foundation he helped to put in place. Terry was a great man who leaves us with double fond memories and an extra fine son, Sage." "Terry Dalton was one of the founders, one of the visionaries, one of the real building blocks of people that helped create the natural products industry we know today. In many ways he led the way in food service and restaurants, but also in the way we thought about business. He had a large natural foods store before almost anyone did, and he was very innovative and entrepreneurial. In fact, with his dockside store and restaurant on the inland waterway, he did a major yacht catering business, unique to the Florida market. "I met Terry well before Whole Foods Market as a young, know-nothing entrepreneur. I was looking for advice on building stores, how to run a natural foods retail business, and Terry invited me to visit the Unicorn Village. I told him I knew little about food service, and he took me into the kitchen and put me with head chef Steve Petusevsky. We started by cutting up onions. It was a level of detail but also only the beginning of the level of generosity from Terry and his team. Here was someone in the inner circle of natural foods at the time who was so open and sharing. While things are more competitive today, I’ve tried to incorporate that lesson from Terry in my entire career in interacting with people.